If you are caring for aging parents, there are many websites and books you can use to get smart about how to manage and provide care for them. But, it’s a good idea to remember that no matter how much planning you do, there’s no substitute for experience. Research is important but it’s overrated as a predictor of success. So, don’t feel bad if you can’t get a handle on all the stuff you feel like you need to know. So much of this work happens by just living it. Because the cost of forgetting this truth is so high, I need mantras to help me feel less overwhelmed in the face of so much to do and learn. So go get prepared with good books and websites, get support you need from friends but also use these three caregiving mantras to give yourself perspective and stay sane. Sometimes I hesitate to start something hard because I don’t want to make any mistakes. And, concern about mistakes is really understandable when you are managing your parents’ care. The consequences of a mistake seem really huge. There will probably never be another time in your life when you are faced with so many hard and complicated things you need to know and do. It’s overwhelming in the both the sheer amount of stuff but also in the “where do I even start?” category. Here’s the answer to that: Just start somewhere. Just get in the boat and start rowing. That’s all you have to do. Make just one phone call, ask that first stupid question. Take the first step. Don’t look up at the mountain, look down at the path. That’s where you’ll find your answers. You could read all the books that have been written for caregivers. The problem is you still wouldn’t know everything you need to know. The perfect information you need lives only in your individual experiences. Often failure on one path is the only thing that points you to the right path. 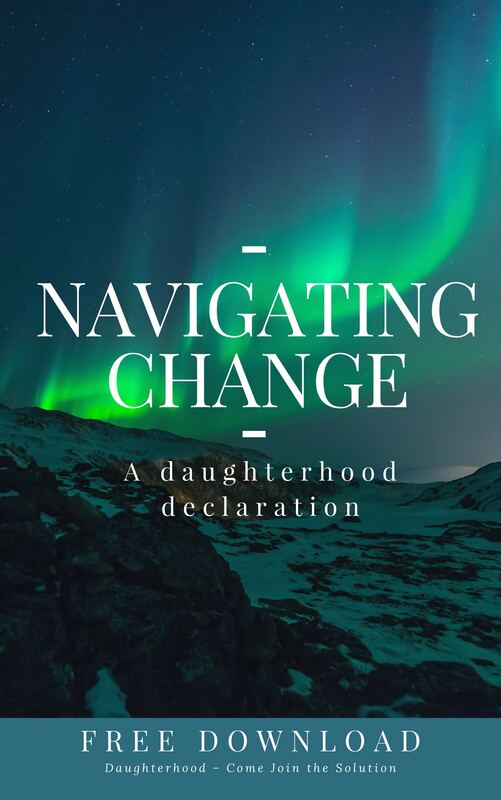 You need to get clear that being on the wrong path is NOT the result of imperfect planning or bad daughterhood. For example, a friend of mine’s mother suffered severe brain damage from a really simple but devastating fall. My friend and her siblings were wringing their hands over whether she could go home after rehabilitation or would need to go to a nursing home permanently. 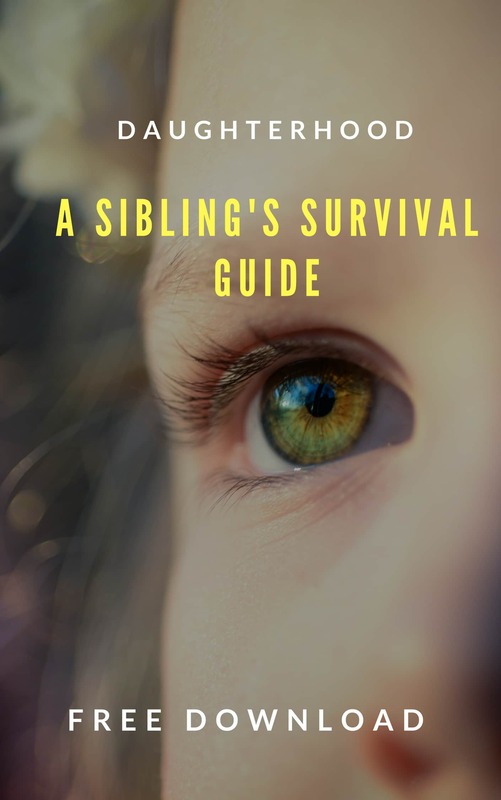 When we were talking about it, my first thought was that her mother’s care was too complicated for even round the clock care at home but when she told me how important it was to her Dad to be able to bring her mom home, I advised her to try it. As I suspected, it didn’t work out for long. But for this family, it was more important to have tried and been wrong than to have never tried. Remember it’s really okay, and also very normal, to try different solutions before you find one that works. Of course, the one that works will only work for awhile because when you’re caring for aging parents, circumstances are fluid and constantly changing. And, when they change, you’ll choose new paths and make new decisions. Your primary job is not being good at what you do everyday. As a caregiver, your job is showing up, putting one foot in front of the other and not stopping. A professional mentor of mine told me about being in army ranger school. He said that the guys who lasted were not the big, strong ones. The ones who lasted are the guys who knew that their job was get up in the morning and put one foot in front of the other. Yesterday, you moved your mom into a nursing home or you had to fire another home care worker, or you had to quit your job because you couldn’t keep up with all the responsibilities. Maybe your mom didn’t recognize you for the first time or your dad went into hospice care. You don’t understand the Medicare rules or the hospital doctors are being rude. Your husband and kids are missing you. You and your siblings are fighting. You were looking forward to a vacation and now you have to cancel it. But, never forget you’re playing a long game here. You will work very hard, you will be frustrated and terrified at every turn. You will go down a lot of paths that lead nowhere and you will want to quit. But, you won’t quit. You’ll keep moving. You’ll get up every morning, show up and put one foot in front of the other. THIS is success. Going through this will change you. It will give you a new perspective, mental toughness and greater ability for compassion that few other challenges will bring. 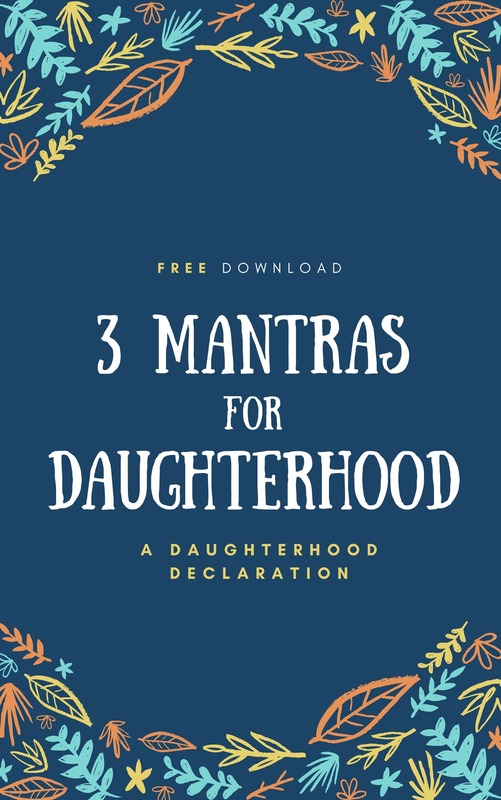 Download here the one-page 3 Mantras for Daughterhood and put it on your fridge. When you look at it, imagine that we’re all having a cup of tea or a glass of wine together and know you’re not alone. 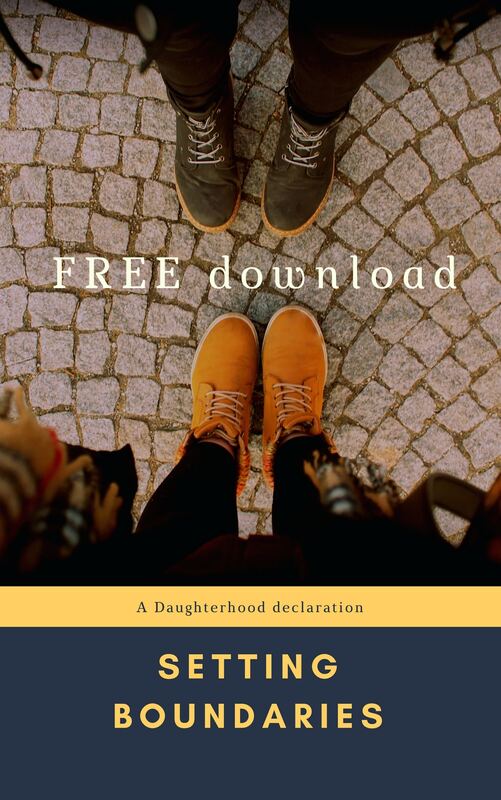 Also, come check out our community at www.daughterhood.org. This brought me close to tears. I am 32 years old and my husband and I moved in with my mom and stepdad 4 months ago to help care for her. She has multiple system atrophy and at 59 is in a wheelchair and unable to do any of her basic care independently. My stepdad, who is 72, needed a knee replacement in November and they live on a horse farm (still have 6 horses) in rural upstate New York. My husband and I are both doctors but I am taking time off from work to be with mom and help get a better support system in place. We are working on so many aspects of this and it is totally overwhelming and I have struggled with intermittent burnout and feeling isolated, because none of my peers know what im going through. These words and others on this site were exactly what I have been feeling. 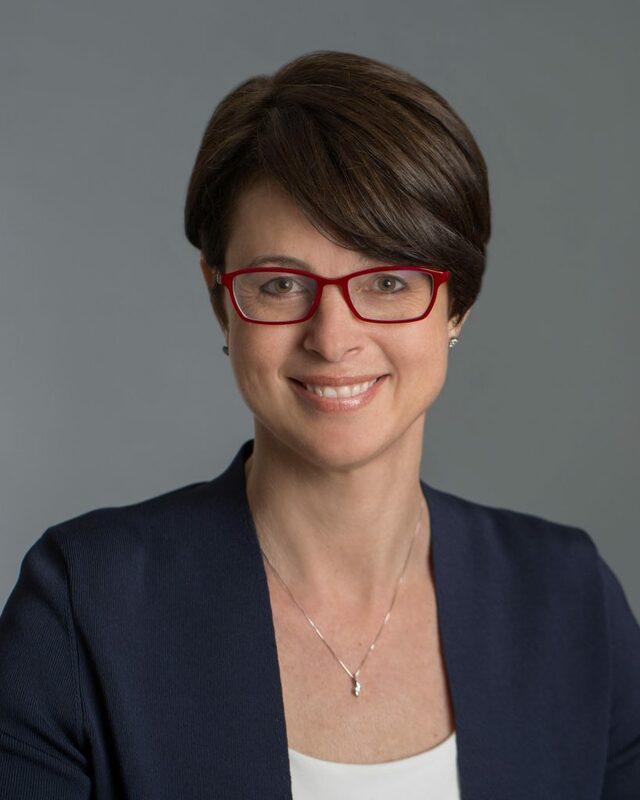 I also started a blog where I am exploring my experience to try to find community and help others who are struggling (MSA is a very rare and universally fatal degenerative disease). Thank you so very, very much for starting this site. I will be back! My mom had a memory imparring stroke 15 months ago and the best survival skill I’ve honed (so far) is to live in the day/hour/moment (whichever one I need) because when I “look at the mountain” instead of the “path” I get paralyzed with anxiety. The simplicity of your advice to look at the path and not at the mountain is a thought that gives me peace and is a new tool that I will add to my daily caregiver duties! Looking forward to reading more in between my duties. And you’re right, I won’t quit. From day one, I knew that mom couldn’t walk away from the deficits of her stroke and that I would never walk away from her or from helping her. As hard as it can be, I’m at my best with her because with her I am purely altruistic. I’m grateful that I have the help of her team (as I think of them) in her nursing home (and it can still crush me that I needed to place her in one). I still work full time and I cannot offer her the safety and supervision that she needs now needs 24/7. Thank you for your words and support! PS. As I re-read this, I forgot to say, that I visit mom every day and sometimes twice a day if she’s having a hard time. I’m very hands on when we’re together to be a help to mom and to allow the other staff who are spread so thin, to be able to help those who don’t have frequent visitors.